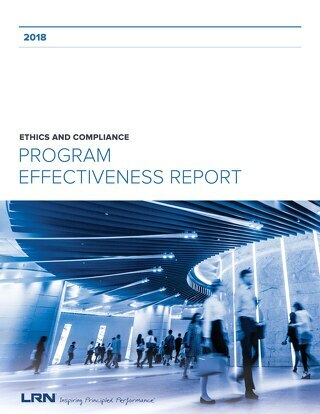 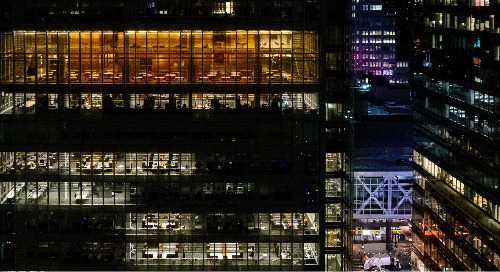 Home » Operationalizing Ethics & Compliance » Does Your E&C Program Measure Up? 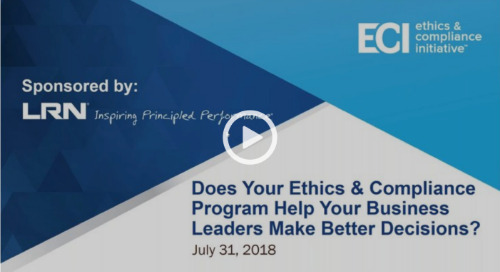 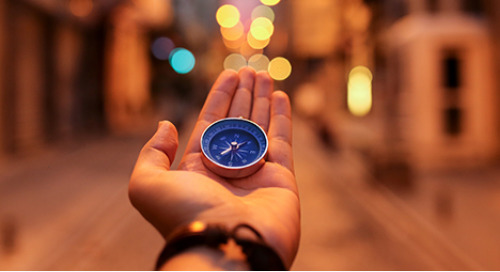 Watch this webcast to learn practical insights from Tom Fox and Susan Divers on how to maximize program impact at every stage of your organization’s ethics journey. 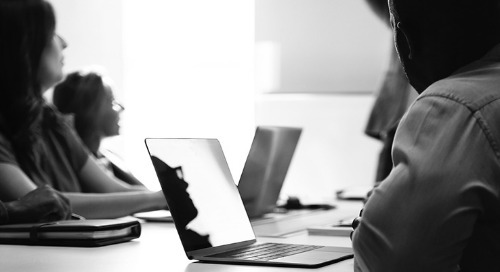 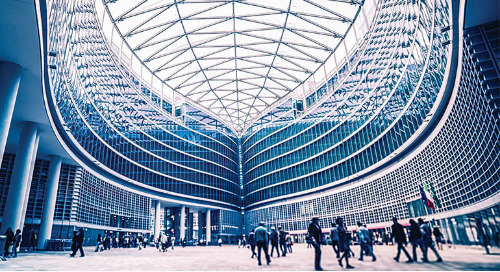 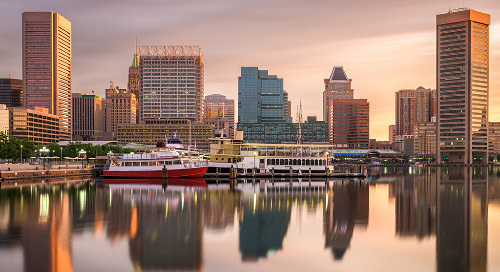 Here are three resources where organizations can learn how to take the reins and operationalize ethics and compliance training into their own business operations. 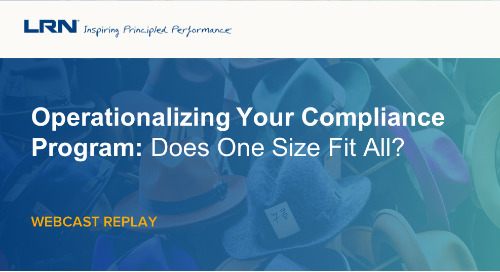 Download this guide to receive a 7-step roadmap on how to operationalize compliance training and communications. 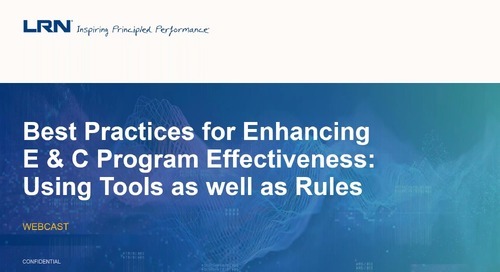 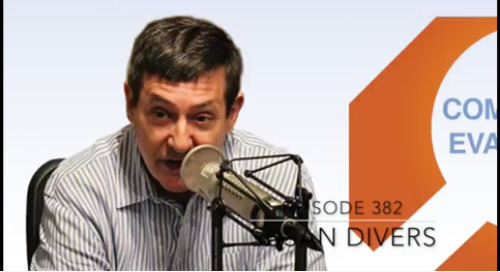 Listen to three leading industry executives discuss strategies on how operationalizing their E&C programs directly into the business has positively impacted decision-making at all levels. 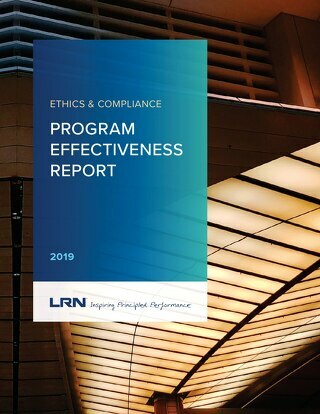 Is Your Ethical Culture on Auto-Pilot? 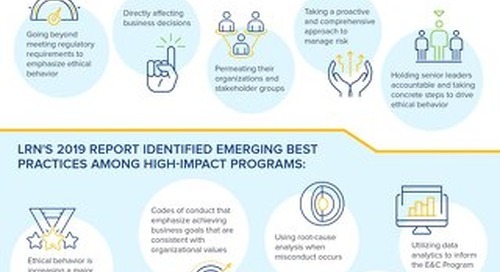 Understand the characteristics of high-performing ethics and compliance programs in this infographic. 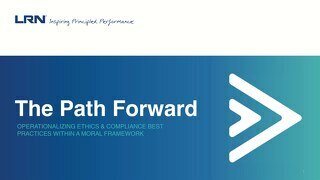 Does your Ethics & Compliance Program Impact Business Decisions and Employee Behavior?